Unknown gunmen killed one and wounded two elements of the Syrian Democratic Forces in Al-Haws area of Raqqa city. 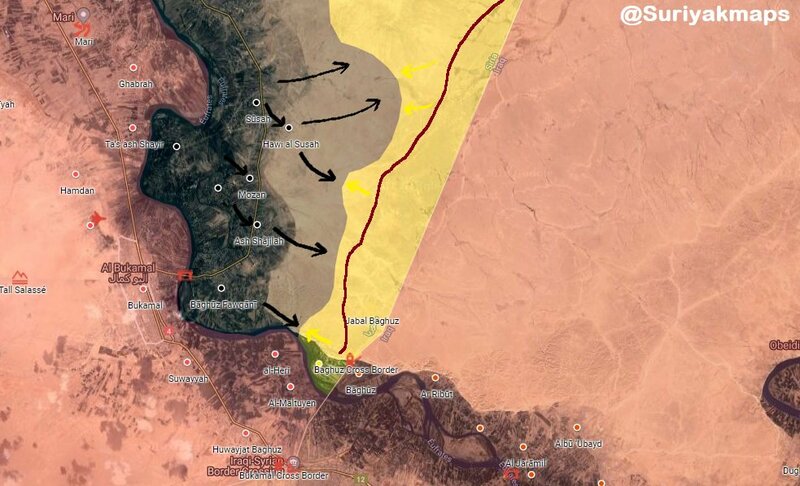 Islamic State launched a large attack against the Syrian Democratic Forces on Al-Susah front during a sandstorm, reversing most of the advances made by the Syrian Democratic Forces in the recent period. Islamic State recaptured Al-Soussa (Al-Susah), Muzan, Al-Baghouz Fawqani, and parts of Jabal Baghouz near Iraqi border. The aforementioned advances forced Iraq to close Baghouz crossing and send additional troops in the area. According to the ‘Syrian Observatory for Human Rights’, more than 60 elements of the Syrian Democratic Forces were killed in the attack. Islamic State’s Amaq Agency stated that at least ten elements of the Syrian Arab Army, including a commander were killed in clashes with the Islamic State in Tell al-Safa area. Afghan National Security Forces killed three and wounded five elements of the Islamic Emirate of Afghanistan (Taliban), as well as destroyed two hideouts in Imam Sahib district. Islamic Emirate of Afghanistan’s improvised explosive device killed three elements of the Afghan National Army in Yaftali Sufla district. Afghan National Security Forces killed two elements of the Islamic Emirate of Afghanistan in Deh Bala (Haska Meyna) district. Afghan National Security Forces killed 14, arrested eight, and arrested eight elements of the Islamic Emirate of Afghanistan, as well as destroyed a vehicle, nine motorcycles and two hideouts in Andar and Ghazni districts. Islamic Emirate of Afghanistan’s Al-Emarah News stated that eight elements of the Afghan National Army were killed and seven wounded in Ghazni district. Islamic Emirate of Afghanistan killed eight and arrested six elements of the Afghan Local Police in Kandalan and Jaha Raigh areas of Khas Urozgan district. Islamic Emirate of Afghanistan also seized six vehicles, five motorcycles, and eight machine guns. Islamic Emirate of Afghanistan raided several Afghan Local Police’s checkpoints in Turabi Hotel area of Jerashk district. Eight elements of the Afghan Local Police were reportedly killed and wounded in the raids.